How can I provide the judges with access to test my app? You may use whatever APIs and SDKs you choose, as long as you are authorized to use and distribute them. 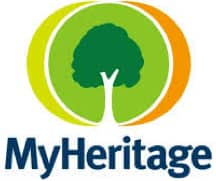 For a list of family history resources you may be interested in, please check out the Resources page. A video helps ensure that all users can view and experience your app. The video will also be helpful to the panel of judges. You may create a screencast or use a handheld video camera to make your video, or choose any other method that captures the app’s value and user interface. Remember, if you’re chosen as a finalist you’ll also need to prepare a 5-minute pitch to deliver to the judges and audience (including a demo, business model, etc.) Pro Tip: Use your submission demo video to as a draft of your finalist pitch, just don’t forget to demo your app! Your app is not required to be available on an online store or website. However, you must provide free access to your app for judging. You must provide a way for us to test your app at no cost. If the submission runs on or includes proprietary hardware or hardware (including wearable technology) that is not widely available to the public, the Sponsor and/or Administrator reserve the right, at their sole discretion, to require the submitter to provide access to the physical hardware app, or device required to test the app, upon request. Software only apps: For software apps running on widely available devices or hardware, please allow us to test using one of the following methods. Android apps: Upload an .apk file in the submission form or provide a link for us to download your app in the “Testing Instructions” field on the submission form. iOS apps: If your app is available on the app store please provide a link in the “Testing Instructions” field on the submission form. If you charge for your app, please also provide a promo code. If your app is not yet publicly available, send it to us via TestFlight. Enter our email address and UDID to share a build with us for testing. Our TestFlight account email is: X. The challenge is open to individuals, and teams of individuals, who have reached the age of majority in their jurisdiction of residence at the time of entry. The challenge is also open to legally registered corporations or organizations that employ fewer than 50 people at the time of entry. Both new and preexisting apps are eligible for this competition. Yes. All submissions entered by eligible individuals, teams of individuals, and non-government organizations with 50 or fewer employees can compete for both the Judges’ Choice and People’s Choice Awards. The Sponsor and ChallengePost will have the right to publicly display your submission on the challenge website, their websites (RootsTech.org and FamilySearch.org), email newsletters, blogs, and social media. They will also be allowed to publicize your name on the challenge website in connection with the submission and the challenge during the competition and for 36 months after its conclusion. For more information on publicity rights, please see the Official Rules. Public voting will take place on February 13, 2015 at RootsTech Conference. The four Finalists will also be eligible for the People’s Choice Award. Following the Finalist presentations, RootsTech attendees will be able to vote for their favorite Submissions by sending a text message via their mobile phone. The phone number(s) and texting instructions required to vote for a Finalist will be provided to RootsTech attendees viewing the Finalist presentations. The Finalist receiving the most verified votes during the voting period will become the potential winner of the People’s Choice Award. Voters will be limited to one vote per mobile phone number. Submitters may not directly or indirectly offer or pay any monetary or other form of consideration in exchange for a vote. Please see Official Rules for full details.